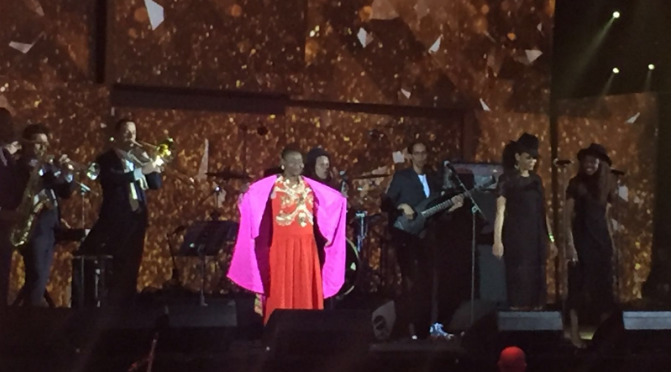 Calypso Rose wins "French Grammy"
Calypso Rose declared herself the Queen of France as she accepted the Victoire de la Musique award for the World Music Album of the Year in Paris, France. Considered the "French Grammys", the award show took place on Friday at Zenith, Paris. In her acceptance speech, the 76-year-old thanked the Government of Trinidad and Tobago and fans for keeping her going. "They have kept me going with the beautiful music and vibrations I have given to them," she said, as a translator relayed her words in French. Rose, real name McArthur Linda Sandy Lewis, also thanked her Belizean producer Ivan Duran, who did her album "Far From Home". The award caps a renaissance year in Rose's career as her album which featured Manu Chao, climbed the charts in Europe to reach Gold status. She has spent much of 2016 touring the world singing to sold out venues in Europe. On Carnival Friday she will headline her own concert in T&T called SOcalypso at the Queen's Park Savannah.